Nails Inc. Spray Paint Nail Polish Review | Top Beauty Blog in the Philippines covering Makeup Reviews, Swatches, Skincare and More! 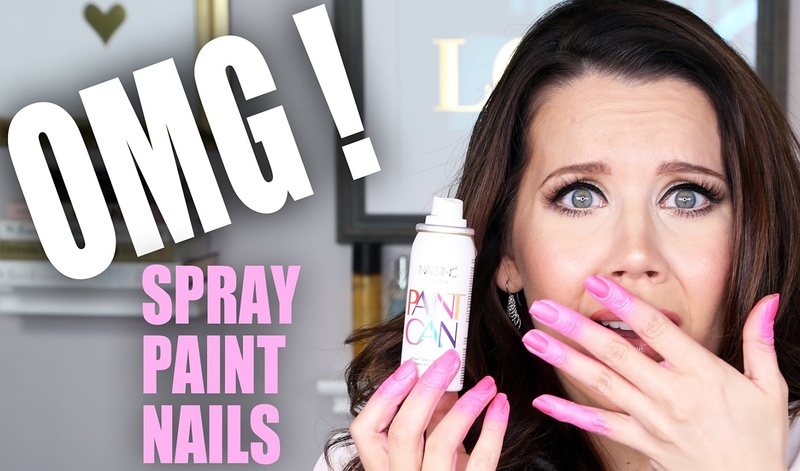 Check out Beauty Vlogger Tati of Glam Life Guru try Nails Inc's "Spray Paint Nail Polish" aka the world's first spray on nail polish in one her latest YouTube videos. Have you guys already tried this nail polish? Let me know your thoughts about this product in the comment section below. PRODUCT DESCRIPTION: Paint Can Spray On Nail Polish is perfect for on-the-go nail polish fans who are on the go. Just spray onto the fingertips and the polish adheres to the base coat or nail polish. To remove any excess polish, quickly wash away from the skin with water or cleansing wipes. You’ll achieve perfectly applied polish instantly. For up to four days of wear with a glossy finish, apply a top coat. Wow, I thought it would have been really easy and simple to use, but obviously not! I'll stick to the normal nail polish! I so want to try this out. I had to watch this. That is awful, haha! Great post! It seems impractical, and also much time is wasted product.